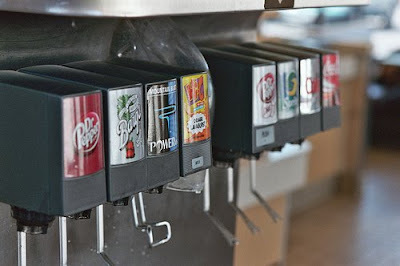 Below is a photo of the soda fountain at Panda Express. 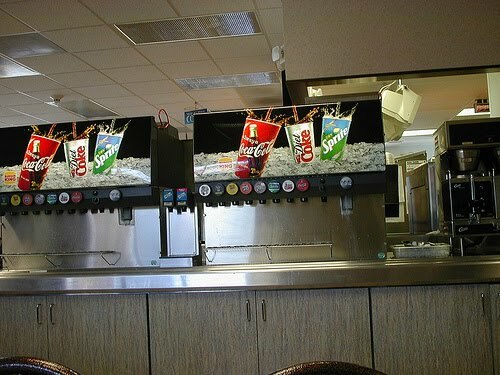 People often have their hands full and have only one hand available to both hold the cup and fill the soda. This is especially likely at a place like Panda Express where a plate of food and cup is handed to you at once and the soda fountain is located before seating. The customer thus is carrying a plate of food in one hand, and a cup in the other. As a result, one must set the cup down beneath the soda nozzle and aim the soda. 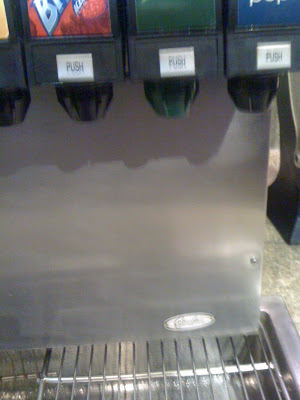 This particular fountain’s nozzles are too high and it is difficult to accurately place the cup below. One doesn’t have to set the cup down. The user can simply fill the drink by pressing the cup against the buttons. It is a far more convenient design for the user.